Yesterday we went to retrieve a bunch of stuff from the house and check out where things were at. As we were leaving I noticed a squirrel viciously guarding something from a swarm of magpies who were waiting for their first opportunity to get at whatever the squirrel had. The squirrel even gave me a stare as I approached; long enough that I thought twice about going to see what it was. I didn’t need a rabid squirrel bite on top over everything else. It was, of course, Willis’s peach. So to all the local wildlife, you’re welcome. 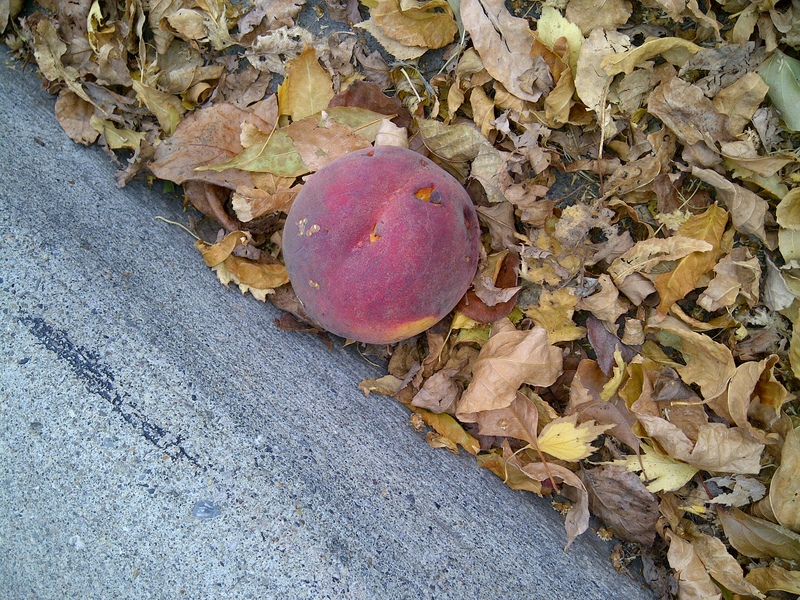 Take the peach as an offering of good will, and I hope you don’t use this opportunity to take up residence in my abandoned house.